We are open 2-6 pm Tuesday through Friday, Saturday 10-2 pm. 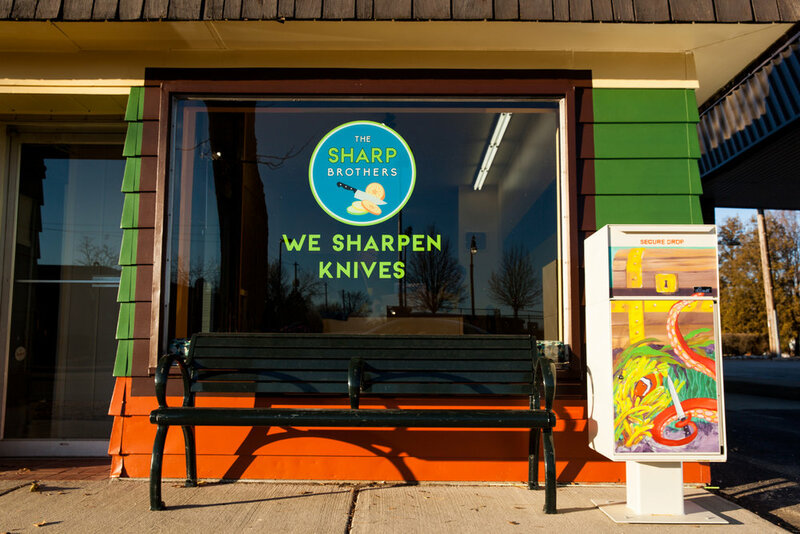 You can drop your knives off, meet Linda and the on-duty sharpener in our beautiful shop. Depending on our job queue, you can wait, watch your knives be transformed and take them home. Or you can wait for a text announcing their completion, never later than the next day! 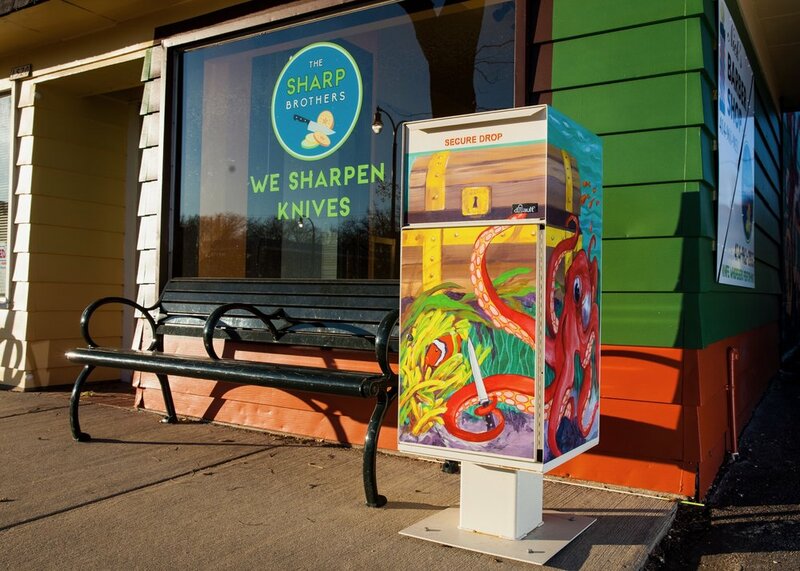 Our famous drop box is open 24-7, please feed our octopus! On normal days, we usually have 3-5 jobs left in our secure box. Drop them off any time, any day. 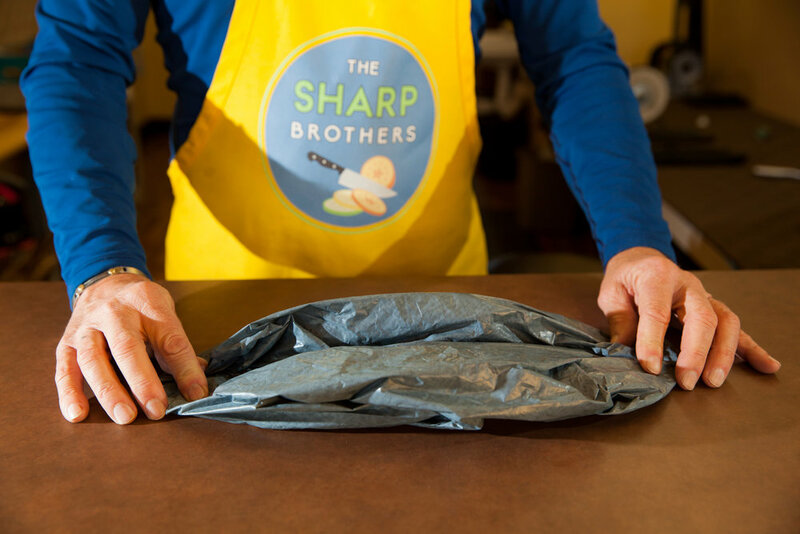 Put your block of knives in a grocery bag, be sure to include your name and phone, then drop them down the chute…makes our octopus happy! Leave your tools, scissors and knives in the drop box that looks like a treasure chest. They will be returned either same or next day. Pay with cash, check, or card upon pickup. Your total will be noted on your bill. View our pricing here. 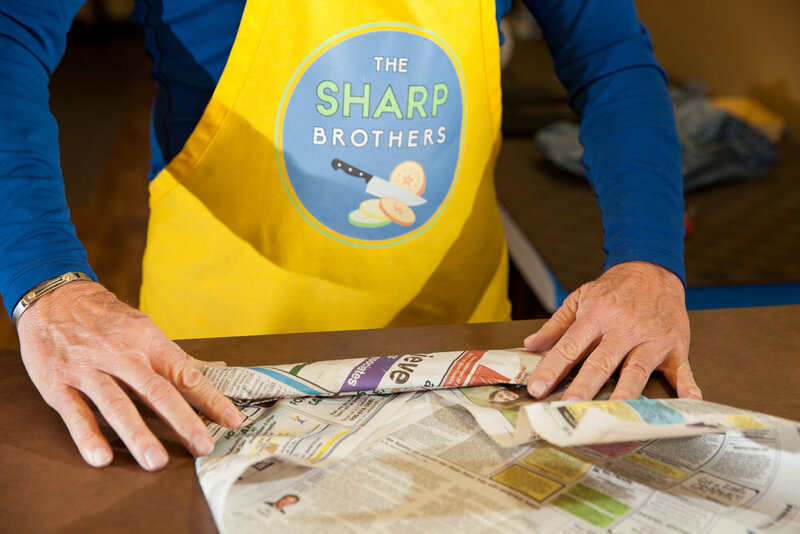 We will call you when your sharpening is finished. 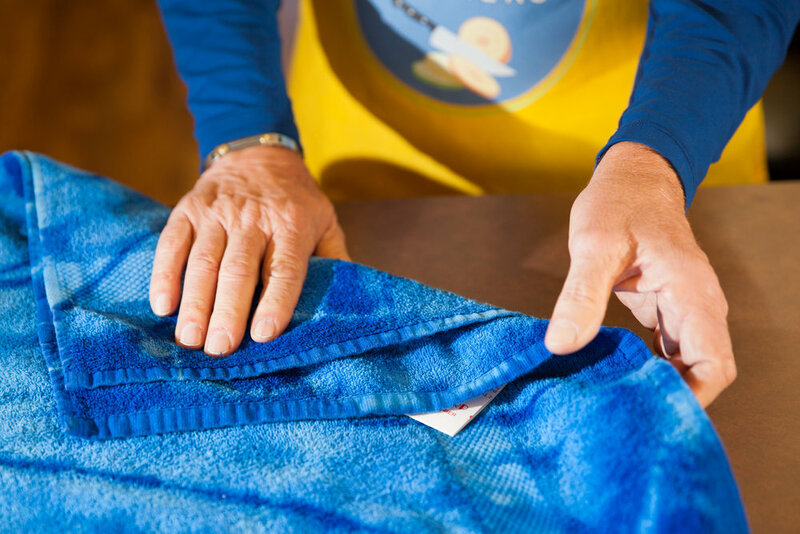 There is never more than 24 hour turnaround and we tell you what you owe when we call. You can pick up items during store hours. Keep your knives in a block, if you have one. If not, cover the blade with cardboard from a cereal or cracker box. 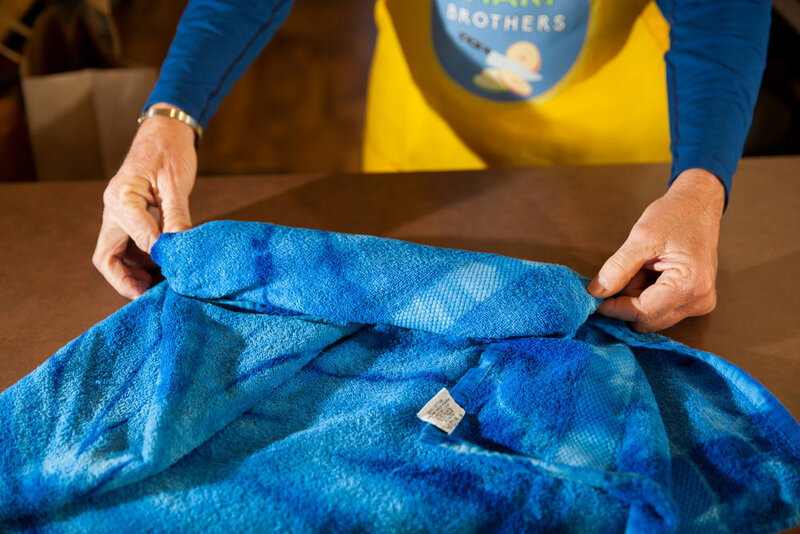 Firmly wrap the item in an outer covering such as newspaper, a towel or plastic bag. 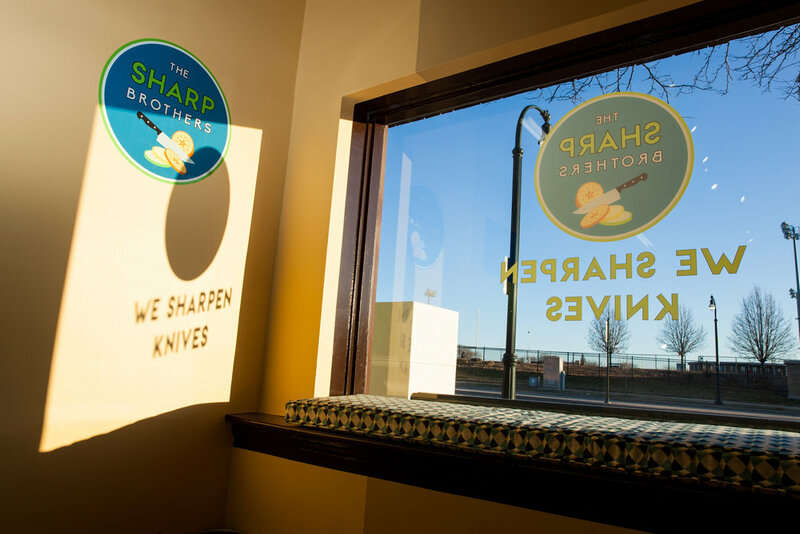 Mark your name and contact information on the knives. Please include your phone and email address. Bring your knives to the spa! Many of our customers prefer to make an appointment just like at the salon. You are special, we will wait for you to arrive, complete the work and you take your knives home immediately. Other options while you wait—get your hair cut at Nick’s and/or your dog groomed at 4 Paw. 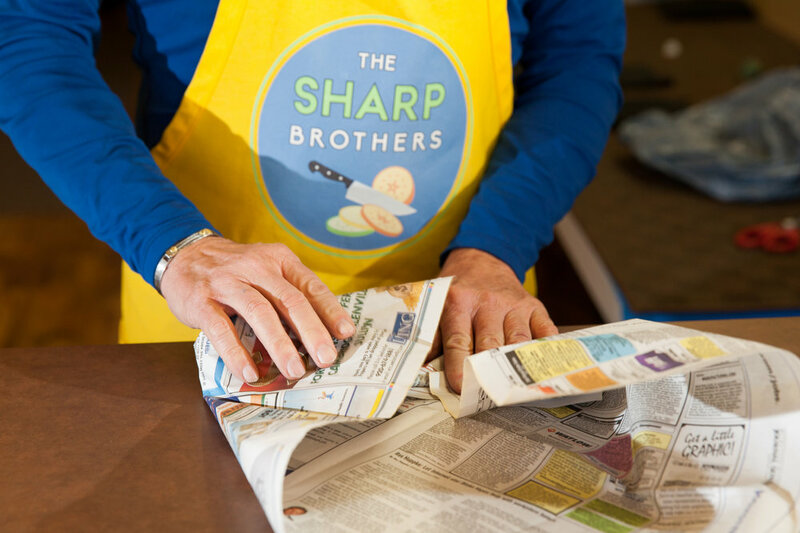 You can drop in our shop anytime during our posted business hours. 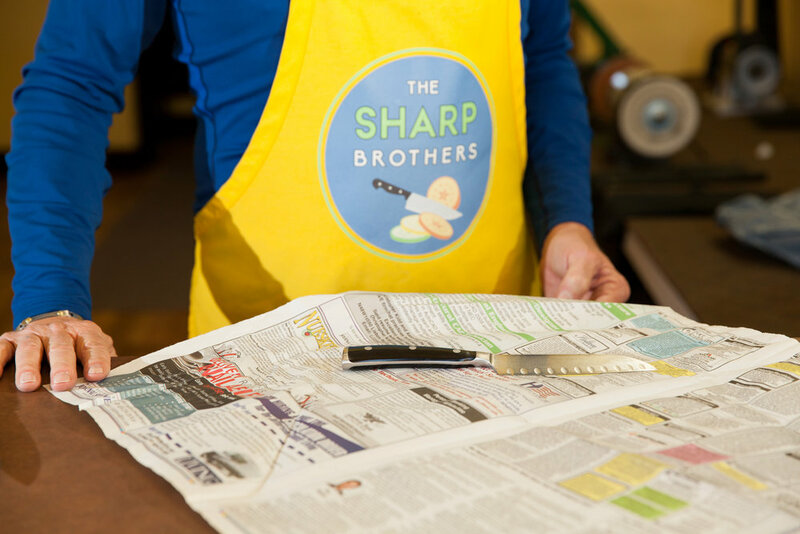 Sometimes you might get lucky and a sharpener will be ready to work on your knives immediately. We pride ourselves on our one day turnaround!